Bollywood actor Tiger Shroff is slowly but steadily rising through the ranks and creating a niche for himself in the industry. Tiger had made his debut in 2014 with ‘Heropanti‘ and is gearing up for his next release ‘Student Of The Year 2′. Now, a soldier has got inspired by Tiger’s athletic stunts and is replicating them. 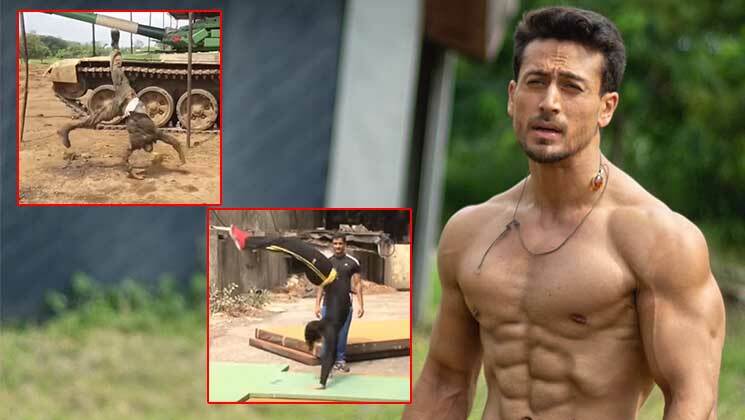 On social media, in a video, we can see a soldier trying out Tiger Shroff‘s stunts and it is incredible to watch. It really is! Tiger Shroff is a fitness fanatic and spends hours and hours in the gym to attain the best physique. The son of Jackie Shroff is very conscious about his diet and believes in living a disciplined life. Coming back to ‘Student of the Year 2’, Tiger Shroff is seen packing a punch and scaling heights in the trailer of ‘SOTY 2’. With toned muscles, ripped body and daredevil stunts, Tiger Shroff is in it to win it. ‘SOTY 2’ also stars Ananya Panday and Tara Sutaria in lead roles. This feature film is releasing on May 10.